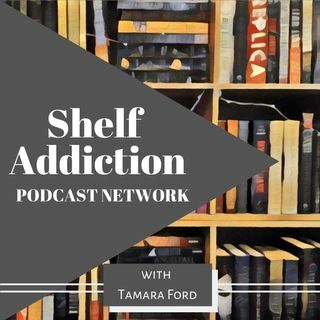 Shelf Addiction Podcast Network is dedicated to feeding your Book Nerd, TV Junkie, and Movie Fanatic addictions! Check out all of the awesome shows on this network! What is Journal-ish? Hosted by Tamara Ford, it's an audio journal podcast with a little bit of everything. My personal thoughts on current events, pop culture, planning and organizing, fitness and health, travel, the occasional adult beverage, pretty much my life in general. This is my safe space to talk about whatever my mood ... Más informaciones dictates. This pod is delivered to you in an informal chill style. After all, it's just me and you here. Episodes air on Wednesdays and feature author and audiobook narrator interviews, book read-along & roundtable discussions, book lists & recommendations, 5-minute book, and audiobook reviews, and other bookish conversations. In addition, expect book to movie & TV adaptation coverage as well. The Shelf Addiction Podcast Network presents The Pop Culture Pod. A bi-weekly show where Tamara and Lisa discuss all things pop culture! Expect a mix of movie reviews, TV show commentary and recommendations. We even cover some "hot" topics going in the world. We'll let you know what's worth watching with a funny and ... Más informaciones thoughtful conversation! Join us during the LIVE show on every other Friday night at 6pm EST, or listen later after the show has ended! The Shelf Addiction Podcast Network presents The Recap: Castle Rock. A spoiler-filled TV series recap and discussion by the episode. Join Tamara and Lisa LIVE Friday nights at 6pm ET and comment along while we talk about Hulu series, Castle Rock. Castle Rock is an American psychological horror web television series based on ... Más informaciones characters and settings from the stories of Stephen King that premiered on July 25, 2018 on Hulu. The series, created by Sam Shaw and Dustin Thomason and starring André Holland, Melanie Lynskey, Bill Skarsgård, Jane Levy, and Sissy Spacek, intertwines characters and themes from the fictional town of Castle Rock, Maine. The Shelf Addiction Podcast Network presents The Recap: Ratchet TV. A bi-weekly spoiler-filled TV series recap and discussion by the episode. From the Love & Hip Hop and Real Housewives franchises to Empire and Power, join Tamara and Erin as they discuss all things ratchet TV! Based on the comic book series written by Robert Kirkman, this gritty drama ... Más informaciones portrays life in the months and years that follow a zombie apocalypse. The Shelf Addiction Podcast Network presents The Recap: Younger. A spoiler-filled TV series recap and discussion by the episode. Join Tamara as she watches Younger and shares her thoughts on the series as a full grown adult! Younger is an American comedy-drama television series created and produced by Darren Star, based on the 2005 ... Más informaciones novel of the same name by Pamela Redmond Satran. The single-camera series stars Sutton Foster as the lead character, with Hilary Duff, Debi Mazar, Miriam Shor, Nico Tortorella, Molly Bernard, Peter Hermann, and Charles Michael Davis co-starring in major roles. The series premiered on March 31, 2015, on TV Land and received generally positive reviews from critics.